Cambridge as a global centre for high-tech businesses. into the ring and offered to lead the march on Cambridge. 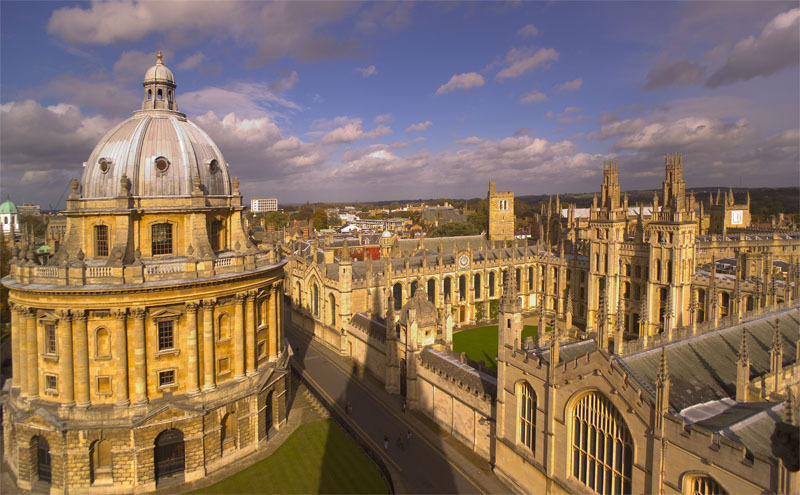 “We have better aligned graduate courses to train our students; Oxford is home to Isis Innovation — one of the best technology transfer offices in the world; Begbroke Science Park is truly supportive and different from anything Cambridge has to offer; we also have Harwell, Culham and Milton Park on our doorstep and the best, world-class research and teaching hospitals. in the university but in the wider ‘ eco-system’ academics have developed around it. “Technology translation culture in Cambridge evolved in a very different way to ours. Until recently, Cambridge did not have a centralised organisation like Isis Innovation here in Oxford,” Professor Dobson added. consultancies, such as Scientific Generics (now Sagentia) and TTP. “Many medium-sized companies bought into this activity and relocated to the area. “In Oxford, we do not yet have the same level of R&D consultancies as they do in Cambridge and this has, to a certain degree, held us back. I also believe we have been slower to realise the importance of innovation within our own university activities,” Professor Dobson said. “Cambridge has an engineering department that is three times the size of ours and very much aligned to the needs of industry. “They also have innovation champions who have the ear of their university’s vice-chancellor and Government ministers. • Professor Dobson is a lecturer on Innovation and Entrepreneurship at Oxford and Cambridge universities.